No Ru this week, but we’ve lured Sam Wakerley over from the UAE to help present the show. We started by talking about the various injuries that the team are carrying at the moment. Will recommended watching Stranger Things on Netflix, and asked for any recommendations for his trip to Tokyo later this year. Sam spoke about the various creatures he’s been spotting on his travels, including the Agouti he saw the morning before we recorded. We then spoke about the Crocodile attack that took place in Tamarindo a few weeks ago. First up in the news this week is the announcement that Surfing will be an Olympic sport for the 2020 games in Japan. We also mentioned the ISA World Games that are taking place just down the road in Jaco at the moment. There was news that Mick Fanning is hoping to coach the Australian team for the Olympics. Full details are still coming out about how the contest will run, but photos from the contest area this week looked promising. The guys discussed how surfing would work in the Olympics and if it will be the best exposier for the sport. In the talk Harry brought up the trend for Cupping with the Olympic athletes. He also mentioned a good article about what Cupping actually is. Will brought up a recent piece by Ace Buchan about the lack of high school education in Pro Surfing ranks. Final topic in the news this episode was the recent social media kerfuffle over Hawaiian Airlines surfboard policy. Harry mentioned a recent article that broke down the costs of running an airline, and Sam mentioned the statement issued by Hawaiian in response to the surfers. We did a quick round up of the US Open that took place at Huntington Beach, California. Filipe Toledo won the men’s and Tatiana Weston-Webb won the women’s. We all spent more time watching the Duct Tape Invitational longboard event that was won by Asher’s buddy, Justin Quintal. Since the Women’s event was a WCT stop, there was an update to our Fantasy Surf Club. Frank’s Picks won the event, and Luis Panda took the lead overall in the Women’s Division. The next WCT stops will be the Billabong Pro Tahiti for the men on Aug 19th and the Swatch Pro Trestles for the women on Sept 7th. A Far more exciting contest was the Rip Curl Cup at Padang Padang in Bali which was a 1 day invitational event. The event was won by Bali local Mega Semadhi, with some standout performances from Mason Ho, Clay Marzo and Damien Hobgood along the way. Someone left Mason Ho in charge of a video camera behind the scenes, and the resulting video is well worth a watch. Sam decided to use his expertise as a business and economics teacher to talk us through a recent paper by Thomas McGregor and Samuel Wills from Oxford University about the economic assets that a surf spot can provide to a developing economy. Sam mentioned other studies such as this report by the Surfrider Foundation, before going on to talk about how a good surf spot can act as a multiplier to government investment. 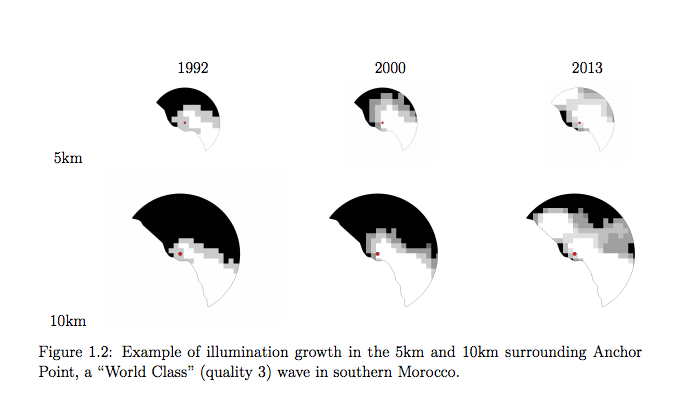 The study used WannaSurf.com to identify surf spots around the world, and then used satalite imigary to identify economic groath in the local area. We then discussed the various pros and cons of surf tourism, as well as speaking about the Rip Curl Search events from a few years ago and the Surf Snowdonia wave pool project in the UK. Will spoke to us about “Midget” Farrelly who sadly passed away last week aged 71. 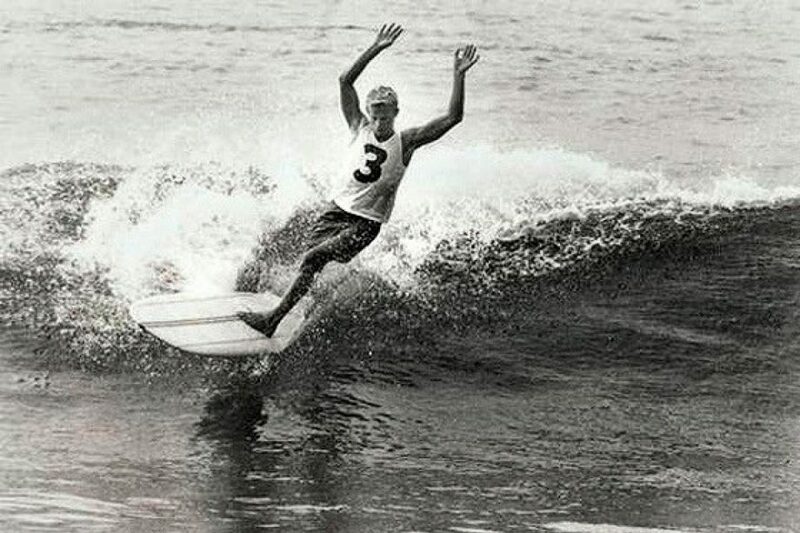 Midget was the unofficial world champion in 1962 and in 1964 won the very first World Championships, and a dominant force in Australian surfing through to the 70’s. He was one of the pioneers of the Shortboard Revolution, but largely overshadowed by the huge personalities of Nat Young and Bob McTavish. You can read a full obituary for Midget on the Surf Simply Magazine. Ellie Mills got in touch with us to tell us about the Google Beyond the Map project in the Favelas of Rio. She thought we’d be interested in Ricardo’s Story which you can watch below, but also wanted to offer Surf Simply Podcast listeners a chance to get hold of Free Google Cardboard viewers to experience the Favelas in a fully immersive way. If you have a VR viewer of any type, you can check the full Beyond The Map feature.